We are a leading Manufacturer of silver zinc coated and black coating from Chennai, India. 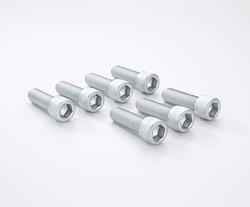 • Automotive parts, bolts/nuts, marine parts, wind power plant etc. • Automotive parts, bolts/nuts, marine parts, streetlight etc. • electric/electronic parts, automotive parts, decorations etc. • Automotive parts, bolts/nuts, ship components, wind power plant etc. • Die casting parts, magnetic parts etc. • Burner body, burner crater, casting etc. • Electrical parts, electronic parts etc. glossy parts. • Automotive parts, marine parts etc. matt parts. • Automotive parts, marine parts etc. semi-matt parts.